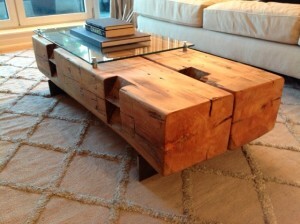 Twin Barn Beam Coffee Table! This is a coffee table made by one of our customers. Two twin beams are joined side by side and finished with a raised glass pane. Very nice!